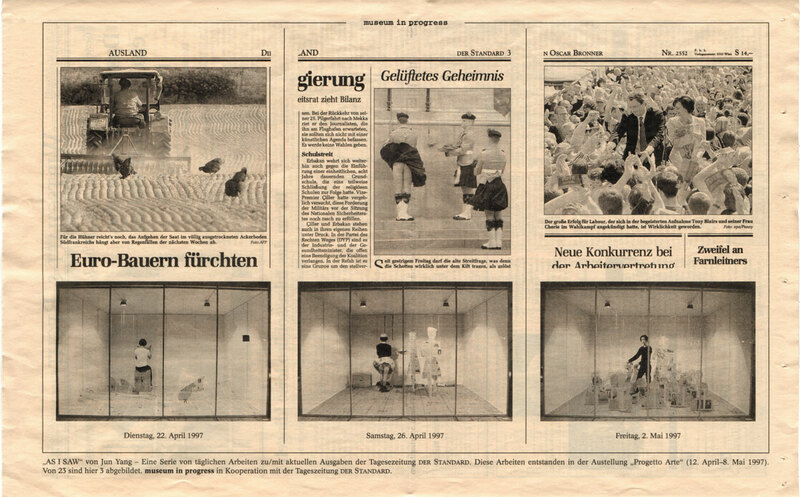 AS I SAW (selection of three days’ performance) was printed as part of ‘museum in progress’ in ‘Der Standard‘ (austrian newspaper), June 1997. 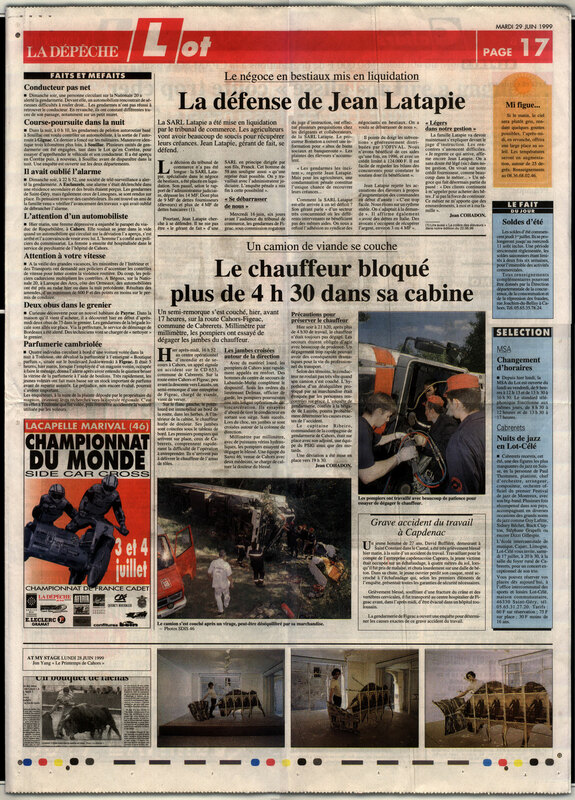 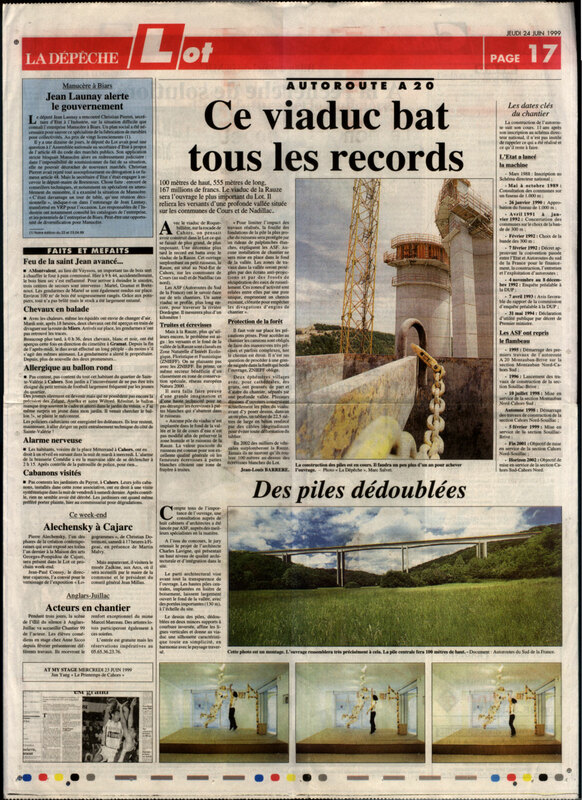 Photo #03, #04, #05: Performance in the exhibition: Le Printemps de Cahors, (FR), 1999; in collaboration with french newspaper ‚La Depeche du Midi‘. 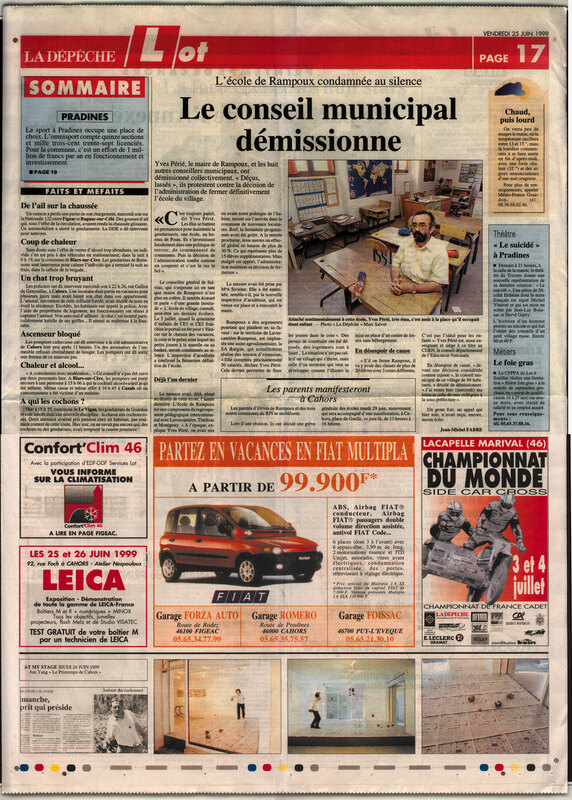 After each day’s performance a photo of the reenactment was taken and the performance was published the next day in the newspaper. 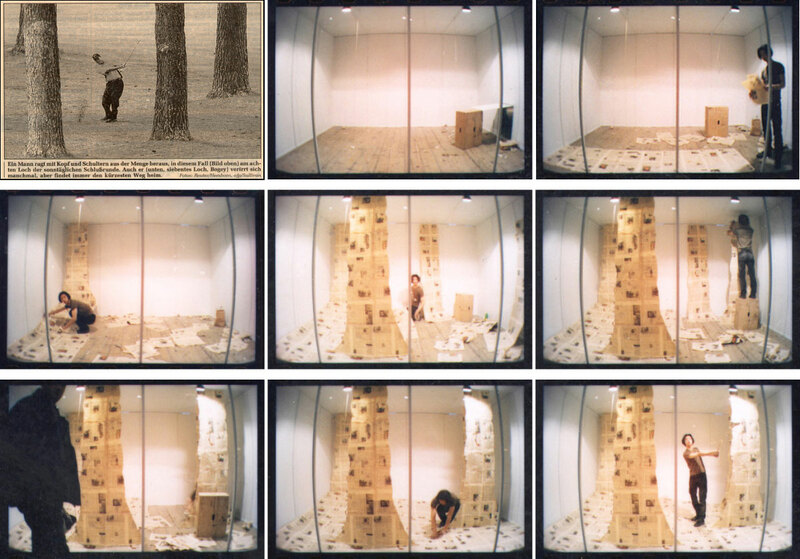 The performance took place during the exhibition’s opening hours.